By jerrygoodman, December 4, 2018 in General 'whatever'. OH MAN, DID YOU GUYS SEE THIS?!? Ooh! Was that John Wesley Shipp back in the flash costume? Hmmm. 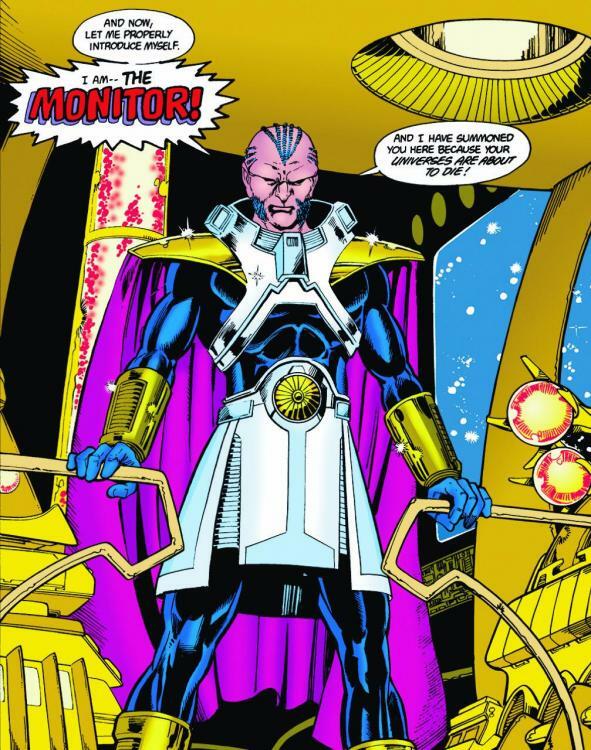 So the Monitor is the bad guy in this? Certainly looks that way, although we don't have the full details. Let's not forget, prior to the Crisis on Infinite Earths, the Monitor was acting as a weapons dealer to various supervillains, but this was just a ploy to test heroes and villains alike to see which would suit his plans to save the Multiverse from the Anti-Monitor. So, maybe this is something along those lines? Funny. 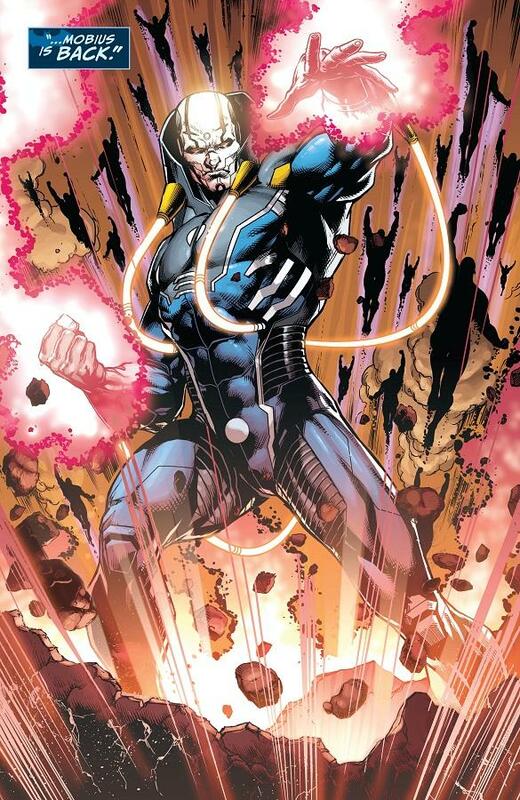 If anything, Apocalypse looks like Mobius, who, according to the New 52 reading of the story, is the identity of the Anti-Monitor before he was mutated by the Anti-Life Equation. I loved the Crisis. I remember, the first time I ever read it. I had bought the deluxe edition, hardcover, slipcase, dust cover illustrated by Alex Ross. Twelve issues, over 350 pages. I had only ever caught snippets. That night, in bed, I read all of it. And it was amazing. The Crisis was the capping stone to the Silver (and Bronze) age. For the longest time, capecomics were chronologically divided 'Pre-Crisis' and 'Post-Crisis'. It was written to celebrate 50 years of DC, and also served to streamline their superhero titles, bring all the heroes and villains into one universe and get rid of some worn-out concepts. There has, in truth, never been anything like it, nor could there ever be, because it did what had never been done; everything that came after could merely be imitation. 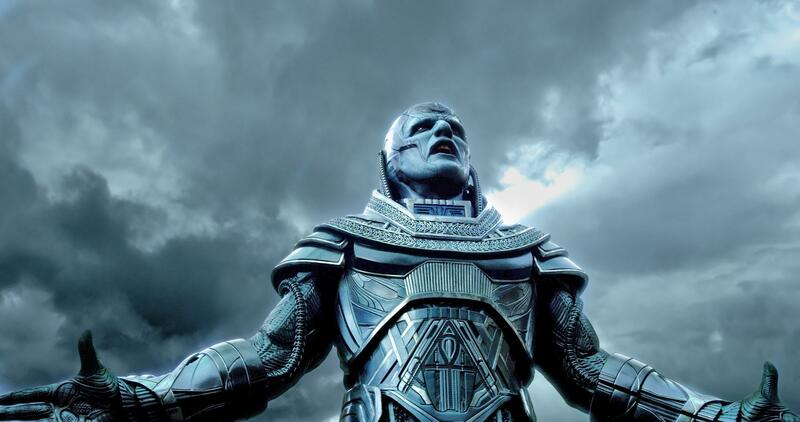 The villain was the purest evil, the stakes, absolute. Heroes and villains died. Reality was changed for good. They will never be able to do it justice.